Cocobod has announced plans to undertake a nationwide exercise to remove all swollen shoot-affected cocoa trees, to prevent the spread of the viral disease. The control programme, which has received government’s approval and is expected to commence soon, will include replanting over 1,000 hectares of cocoa trees in a 4-year period. 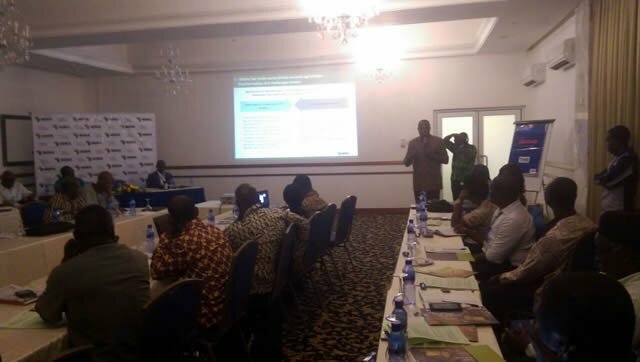 The Executive Director-Cocoa Health and Extension Division (CHED) of Cocobod, Mr. Emmanuel Opoku, said a research conducted by Cocobod identified most cocoa-growing areas to be disease-prone, hence the exercise to change the situation. “You can’t do anything about swollen shoot-affected farms. The only control programme we can undertake to change the situation is to cut all the affected farms and replant,” he stated. 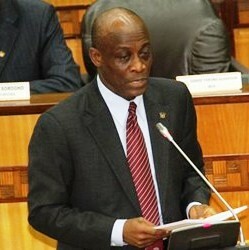 He explained that all the necessary structures and logistical support are being arranged for the programme to take off. The Cocoa Swollen Shoot Virus Disease (CSSVD), is a serious constraint to the production of cocoa in West Africa – particularly in Ghana where the disease was first recognised in 1936. Several different strains of the virus exist and can cause defoliation, die-back of the plant and severe yield losses, according to some expert reports. CSSVD is transmitted by infectious mealybugs and infected bud-wood. The risk of spreading the disease is reduced if mealybugs and live plant material are not transported deliberately or accidentally from place to place. 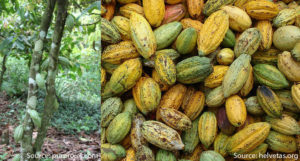 The World Agroforestry Centre (ICRAF), in a report, noted that in susceptible varieties such as West African Amelonado cocoa, the most severe strains of the virus can kill the plant within 2-3 years. 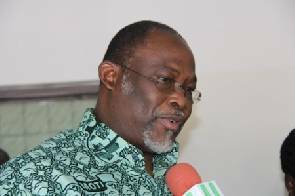 Mr. Opoku was speaking at the launch of the 25th Anniversary of Kuapa Kokoo Cooperative Cocoa Farmers and Marketing Union at Tepa in the Ashanti region and added that other major interventions in the cocoa sector are also being pursued. For instance, the hand-pollination exercise introduced last year toward boosting cocoa yields of cocoa farmers across the country is expected see an increase from the 10,000 youths engaged to assist in the programme to 20,000 this year. So far, through this initiative, it said, farmers are recording an average yield of 20 bags of cocoa from one hectare of cocoa farm as at December 2017. Also, given the huge challenge cocoa farmers face in periods of drought, Cocobod has disclosed the start of an irrigation project for cocoa farmers targetting irrigation of over 200,000 hectares of cocoa farms. Funding for the project is being discussed with creditors, according to the Director of CHED. 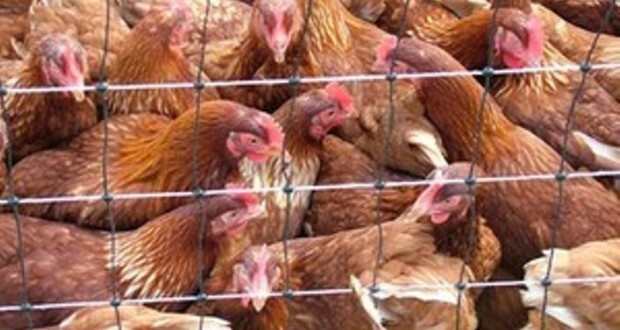 However, farmers are expected to pay for the project. The Managing Director (MD) of Kuapa Kokoo Limited (KKL), Mr. Samuel Adimado, said the Company will this year network all its operation centres across the country with state-of-the-art equipment. Additionally, he said, the company will strengthen the purchasing powers of its recorders by providing them with funds required – while also building the capacity of district managers on the use of electronic purchasing equipment they are seeking to deploy. “This will help management to closely monitor all activities and transactions at our various units across the country in real-time,” he stated. Mr. Adimado also reiterated the Company’s resolve to eradicate child labour activities in their respective farms, particularly through the ‘Back to School Project’, while also investing in healthcare delivery to farmers in the hard to reach cocoa growing areas. 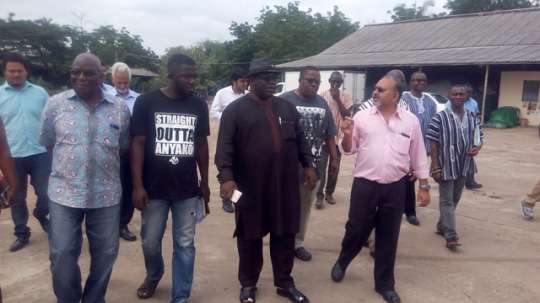 The President of KKFU, Madam Fatima Ali, noted that their union – which has become one of the leading producers of ethical cocoa beans in the country – continues to impact on the livelihood of farmers. With over 100,000 registered farmers, she acknowledged the dedication of farmers which has contributed immensely to the recognition of Kuapa Kokoo, now certified under Fairtrade, UTZ and Rainforest Alliance. Among a number of initiatives and support for the farmers, she observed that KKFU in partnership with Ophthalmologists from KATH and HCP screened over 3,500 farmers across 400 different zones, and provided free eye surgeries, prescriptions, and spectacles and eye treatment to farmers. The 25th Anniversary was launched under the theme ‘Celebrating 25 years of pioneering sustainable cocoa production’. A number of activities in the year-long Silver Jubilee celebrations including an institutional debate for some selected universities, the launch of Kuapa Kokoo Ward at KATH, and Young Women in Cocoa Production were announced.